It’s time to get your sweat on in the New Year, and the amenities at The Daley are ready to help. Get your Daley fitness ready to go with our fitness amenities and local Maryland places that are close by. Start your fitness goals off strong by hitting the Daley’s Fitness Center. Our Fitness Center is outfitted with a torque multi-functional training system and on-demand fitness classes. Utilize the free weights, jump on a machine or grab a mat for some floor work. If you are looking to slow down and work on your zen this year, we have the perfect indoor and outdoor yoga areas for that. Take some time to learn your body’s strengths and weaknesses as you connect with your yoga practice. As the Maryland weather warms up, get your bike out of The Daley Bicycle Storage and Repair Center for some Rockville rides. If you want to venture out for some specialty fitness, check out one of these Rockville spots below. If you are looking to add some intensity to your 2018 workouts, MoCo Crossfit is the place to go. Only a 7 minute drive from The Daley, this gym combines competition, weights, and circuit training. If fun and fitness is more your style, Studio Fiesta will be your jam. Take the 12 minute drive from The Daley to dance off your lbs. Find your Daley fitness routine that works best for you this New Year. We are just here to help. Don’t live at The Daley yet? We can help with that too. 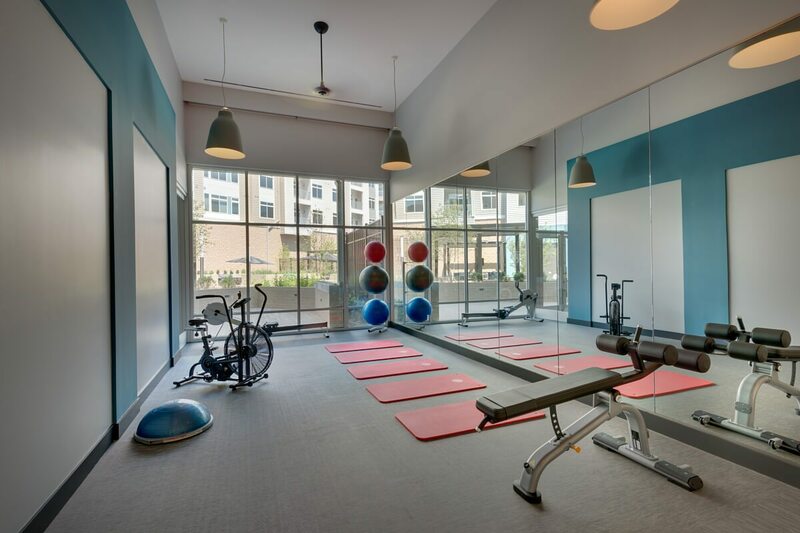 Schedule a tour to see our fitness amenities and more!